These A5 wirobound notebooks are finished in black 'Belluno' PU leather which is hard-wearing yet soft and velvet-like to touch. 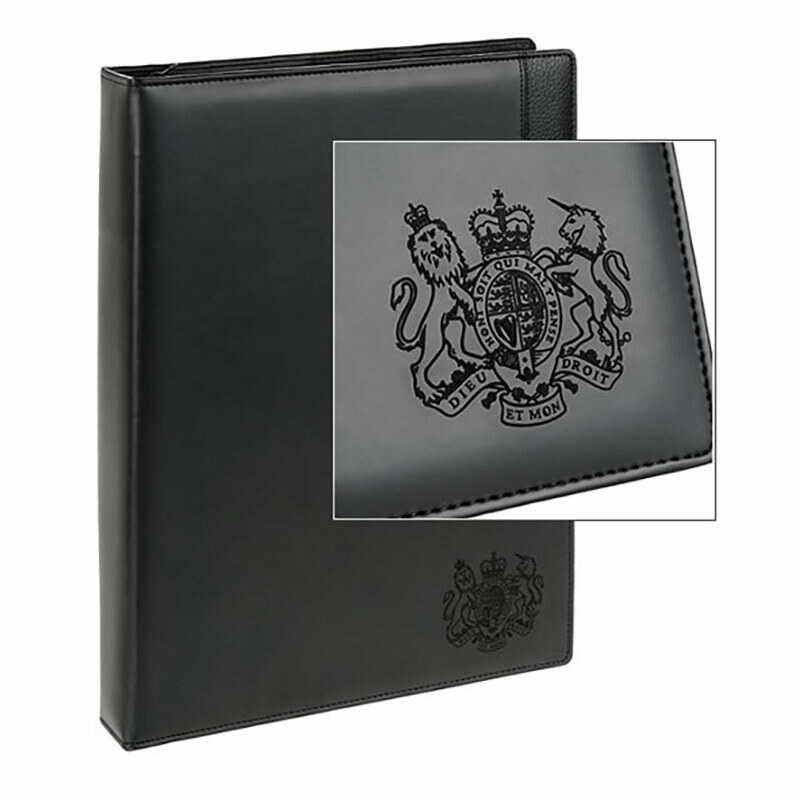 The notebooks contain 96 sheets (192 pages) of 70 gsm ivory lined paper and also feature a clear pocket on the inside front cover. 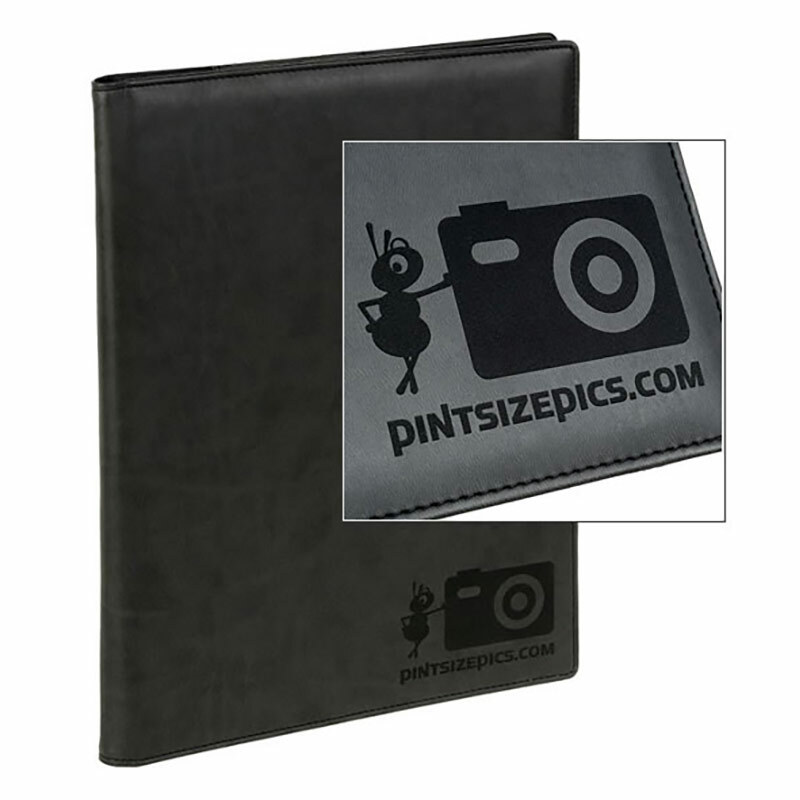 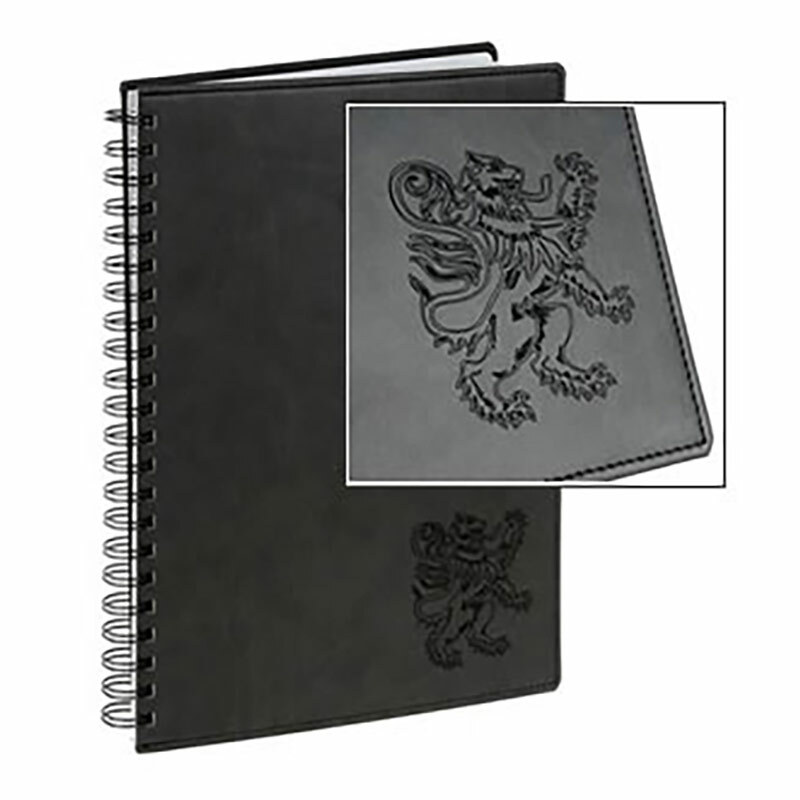 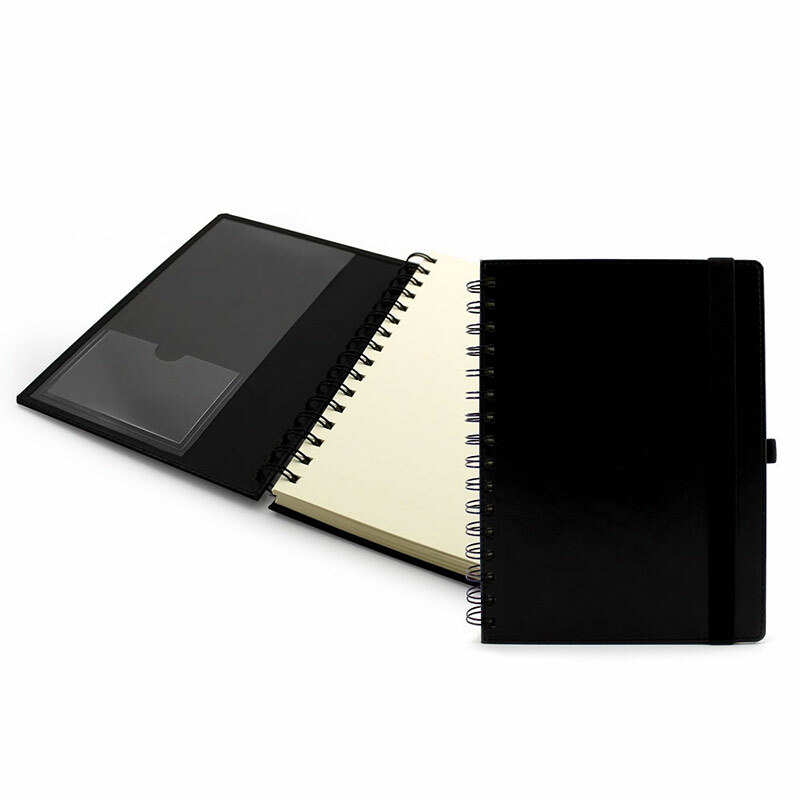 They include an elasticated pen loop and elasticated retainer on the outside to close and secure the notebook. 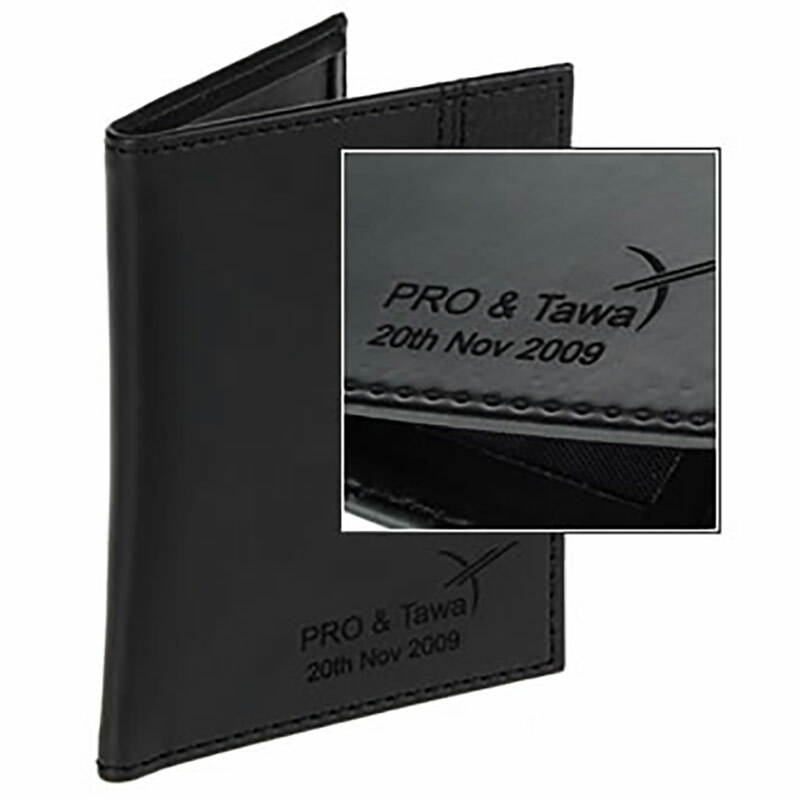 Branding can be supplied via laser engraving into the front cover, a technique that leaves a clean, crisp and very stylish mark of your name, logo, event or any other inscription you choose.